Reports from the Scottish government's FisheriesResearchServices(FRS)in AberdeenandPitlochryhavefound strong evidence that sea lice from caged salmon contaminate wild fish - and the problem seems to be getting worse. The lice eat fish flesh, causing badly infested salmon and sea trout to die. The problem is estimated to cost the Scottish fish-farming industry up to £30 million a year, but the impact on wild fish has been hotly disputed. AnotherFRSreportsaidresearch from Norway and Ireland suggested sea lice from fish farms could have "serious effects" on the wild salmon population. "The proposed solution was to introduce a mandatory separation distance between farm locations and important wild fishery rivers," it said. "In Scotland, such a solution would be hugely expensive and difficult logistically due to a shortage of new viable sites for farms." The FRS reports were obtained by the Pure Salmon Campaign, which described them as "deeply disturbing". "The government appears to have given up without a fight to protect wild Scottish salmon - a national icon - because it might be too difficult or too expensive," alleged the campaign's Don Staniford. The FRS research reinforces a global study published last month in Canada which said wild salmon passing by fish farms suffered 50% higher mortality rates than salmon which didn't go near them. 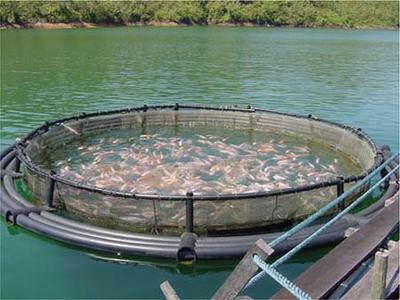 "This should be a wake-up call to the global salmon-farming industry," said Staniford. "The weight of scientific evidence now demands salmon farmers in Scotland, Ireland, Canada and Norway clean up their act before wild salmonids edge closer toward extinction." The spread of sea lice from fish farms has long worried angling groups. Roger Brook, chairman of the Rivers and Fisheries Trusts of Scotland, said he would support the removal of some farms on a trial basis to see if it would reverse the decline in fish stocks. The Scottish government insisted it was "false" to suggest it had given up on protecting wild salmon. A spokeswoman said "considerable resources" had been devoted to research into sea lice, and working groups had been set up to consider fish farm relocations and agreements on lice treatments. "We are also always considering new measures and are, for example, sharing good practice with the Norwegian producers," she added. Log into our Guestbook and leave your comment on this story. Shark remains in Moyola tributary!